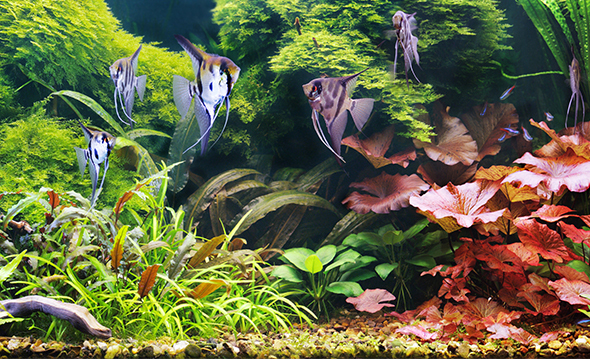 In normal planted aquariums there is a balanced between fish and the plants. 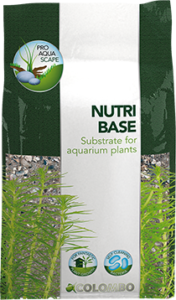 Because of the presence of fish, sufficient nitrates and phosphates are produced to achieve healthy plant growth. That is why FloraGrow contains no nitrates and phosphates, because it lead to algae growth. Normal planted aquaria aren’t often equipped with a CO2 system, to be able to offer plants an alternative for a CO2 system use Carbo. FloraGrow is a liquid fertilizer for moderately planted tanks. It provides nutrients to the water which are absorbed by plants through the leafs. FloraGrow contains all essential nutrients in a complete formula; Iron is added in a special form which can be absorbed by plants directly. FloraGrow Carbo contains an alternative source of carbon to replace the need for CO2. In aquaria without a CO2 system the use of FloraGrow Carbo is essential. By adding FloraGrow Carbo plants can absorb the alternative source of carbon without the need for CO2. Carbo should be added daily for best results. Besides a positive effect on plant growth Carbo also helps to prevent algae growth!